Tablet PCs, such as Apple’s iPad, are expected to be the growth driver for the mobile PC market over the next few years. 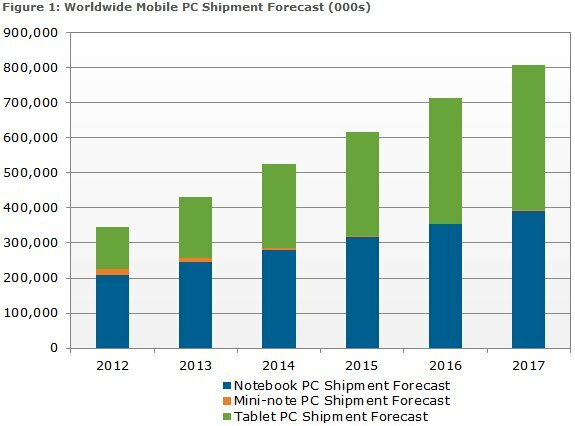 Tablet shipments will surpass notebook shipments in 2016, according to the latest NPD DisplaySearch Quarterly Mobile PC Shipment and Forecast Report. Overall mobile PC shipments will grow from 347M units in 2012 to over 809M units by 2017.